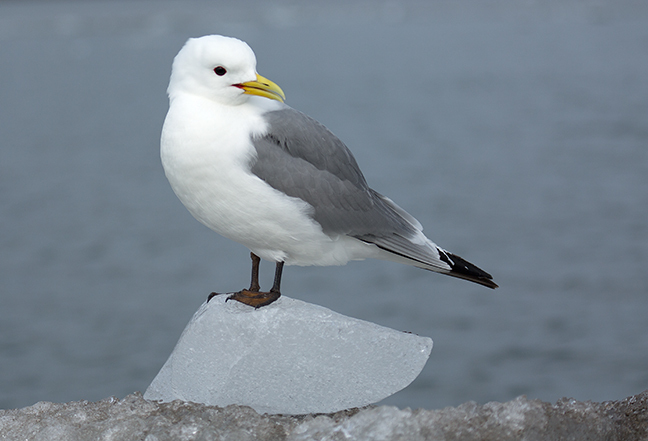 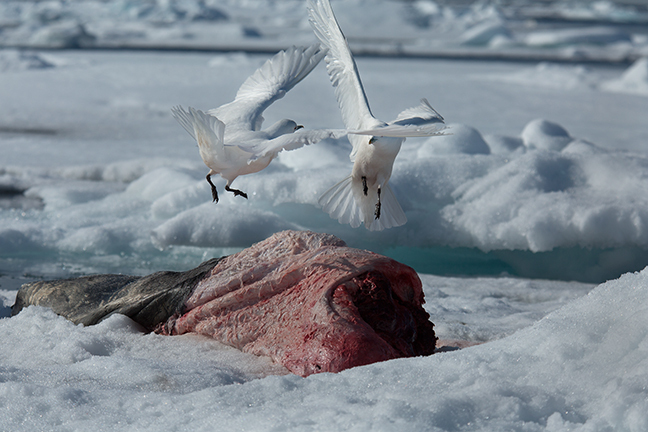 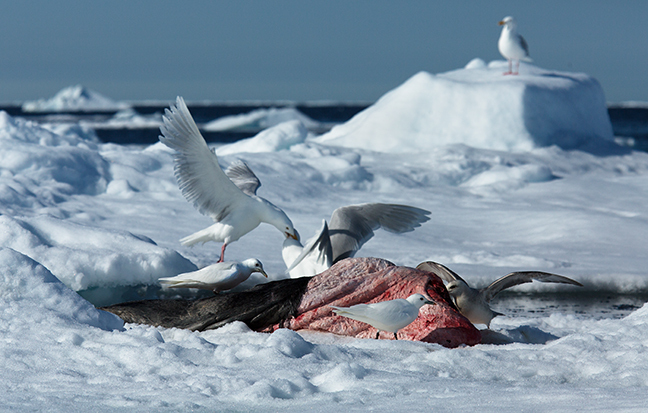 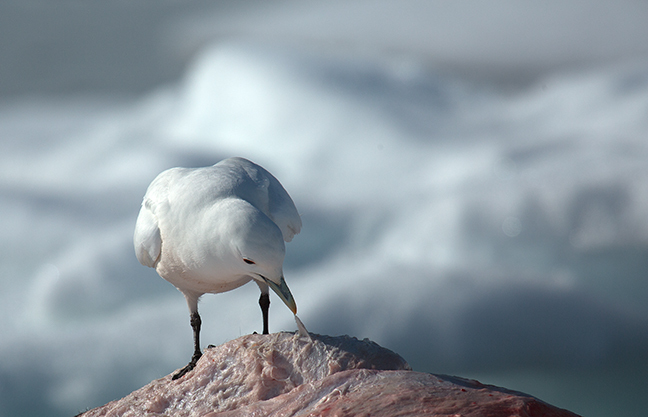 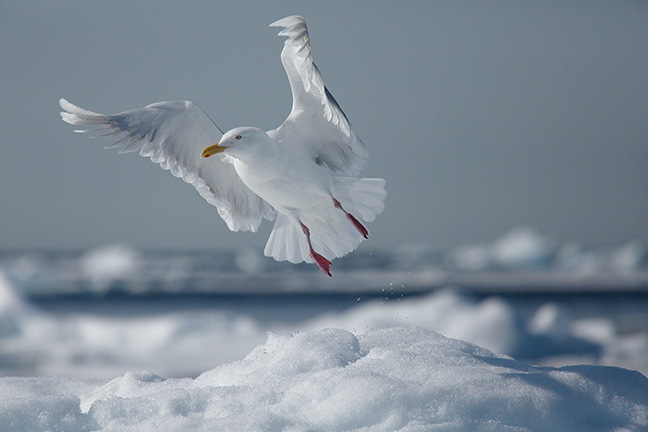 The Glaucous Gull is one of the largest gulls breeding in the Arctic and the only dedicated avian predator in Svalbard. 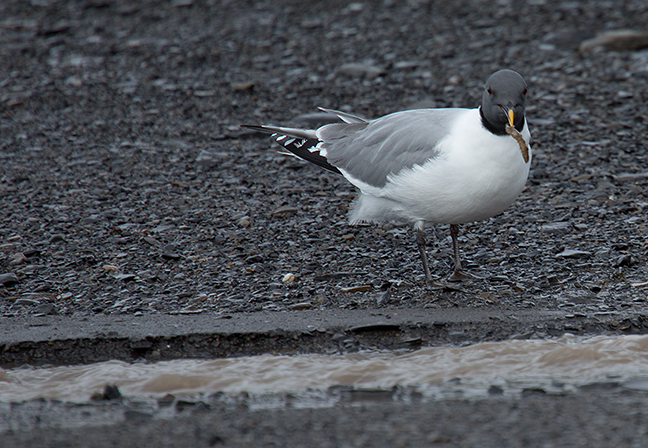 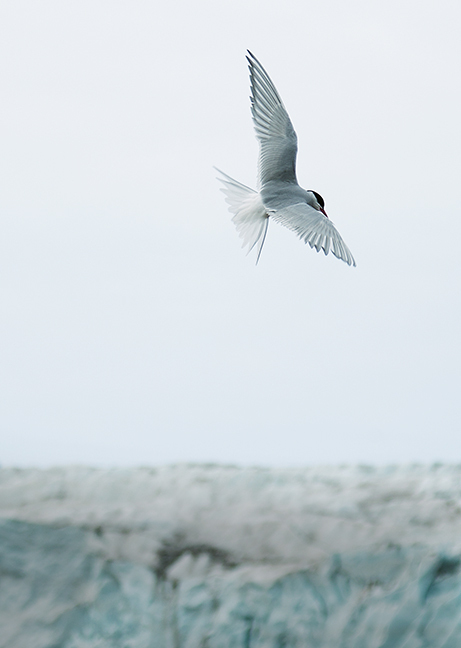 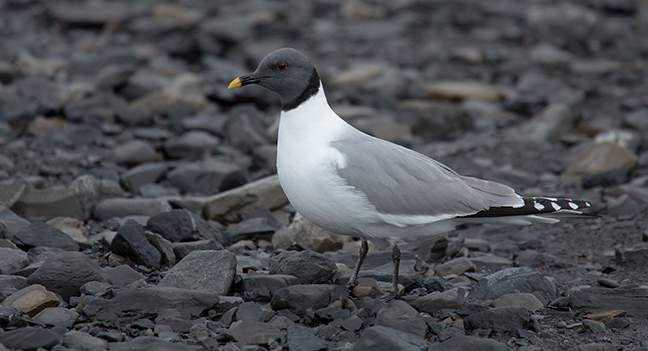 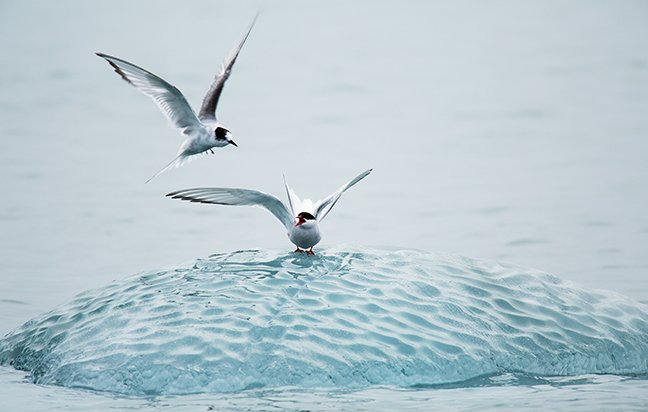 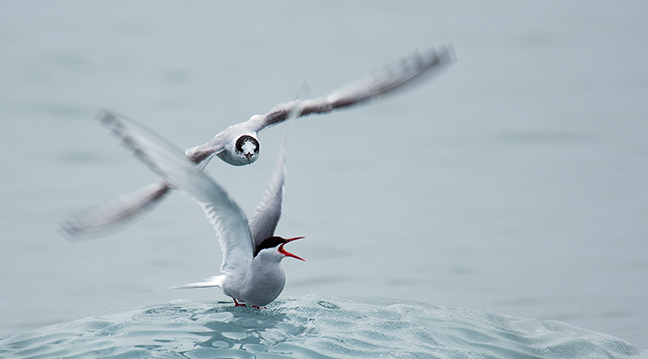 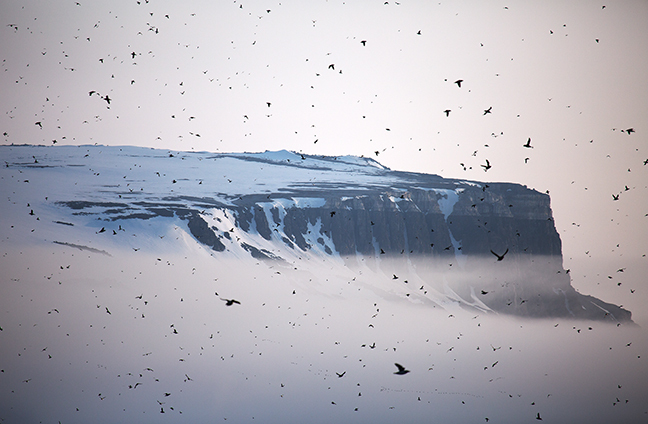 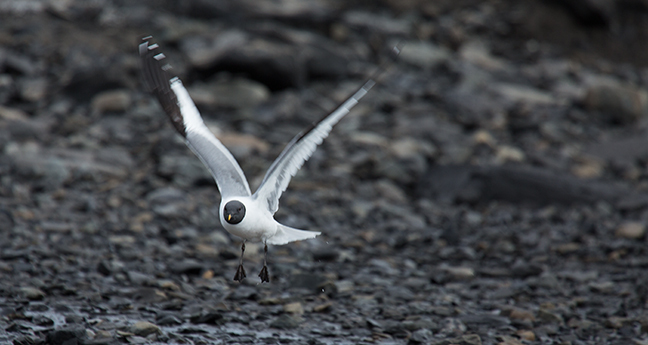 It has a circumpolar, high arctic, breeding distribution and at least 1,000 pairs breed on Bjørnøya, the largest colony in Svalbard. 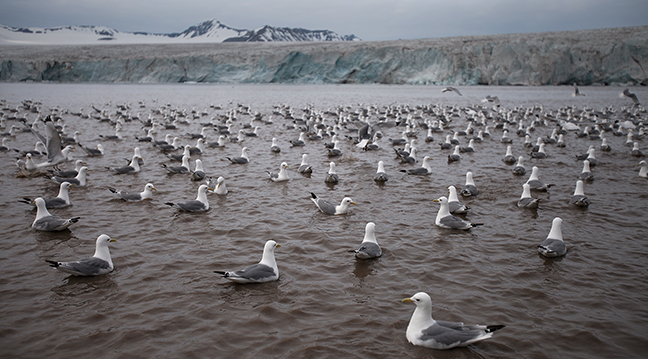 They often breed in or close to bird colonies and specialize in preying upon eggs, chicks and adult birds of other seabird species. 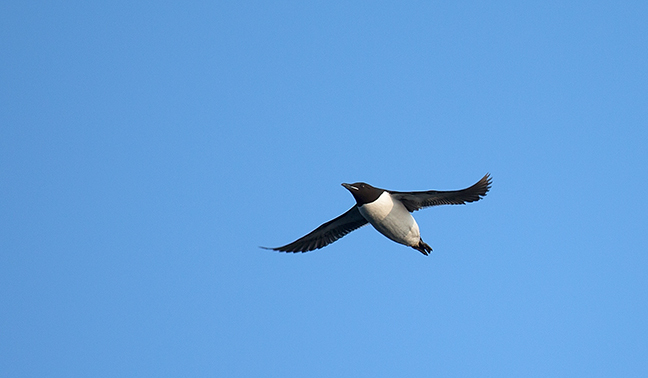 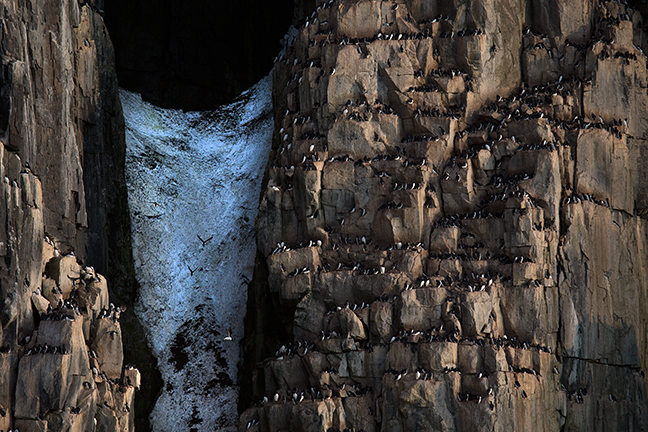 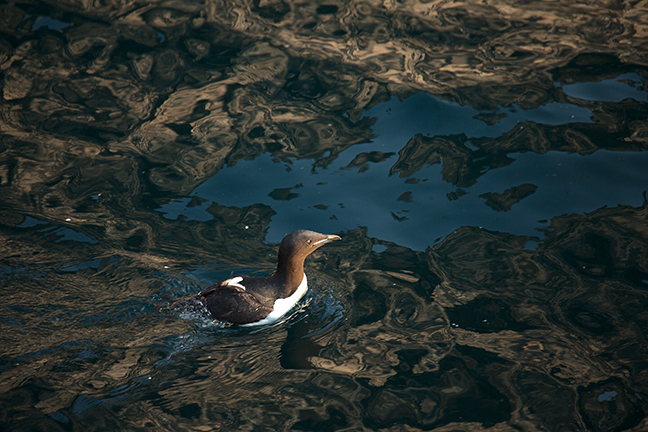 They eat fish, mussels, crustaceans, eggs, chicks and even adult Kittiwakes, Brünich’s Guillemots and Little Auks.